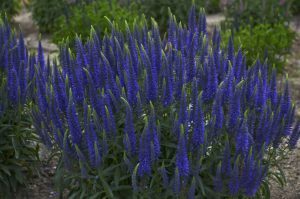 If you've been walking around your neighborhood, and noticed a big splash of purple what you may have seen is a new Veronica variety. Wizard of Ahhs. It's part of a popular collection of Veronica knows as the Magic Show. Bonus points for this variety is that it is one of the earliest Veronica to bloom. 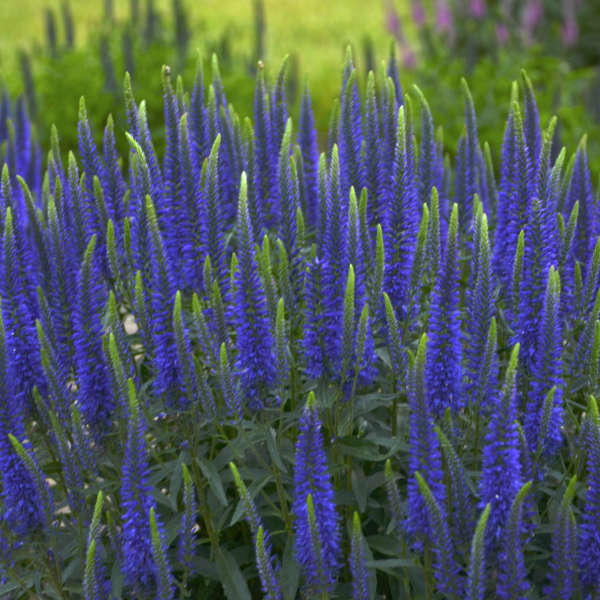 This plant produces thick spikes of voilet blue flowers that cover the top half of a low, wide growth habit. Reaching heights of 14 to 16", you can expect this one to spread between 18 to 22". Grows best in average to moist, enriched, well-drained soil and full sun. 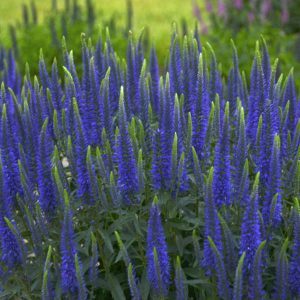 Also grows in part shade but blooms better in sun. Shear back after flowering.